Looking for that picture-perfect Millennials birthday cake idea? What about a premium, mouthwatering cheesecake. We’ve found one of the best places in Singapore to taste this classic favourite with an Asian twist. Their cheesecakes are not only delicious but also customisable. Award-winning food entrepreneur and bakery magician, Chef Daniel Tay, recently expanded his high-end dessert bakery in Singapore from online to offline. The online cake retailer Cat & the Fiddle has indeed opened their first retail store in Clarke Quay Central last January where they offer a delightful selection of dessert favourites. 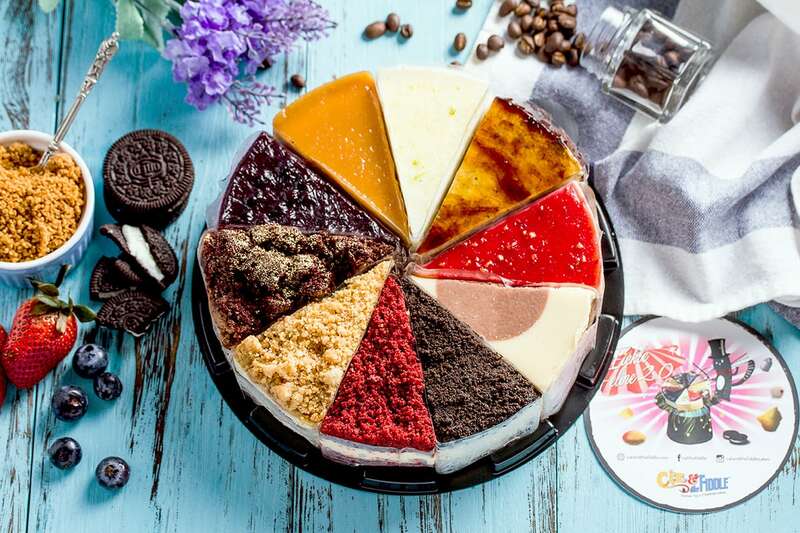 Cat & the Fiddle rapidly became one of Singapore’s preferred online premium cheesecake stores after being established in 2013. Best known for its fresh take on a classic, Cat & the Fiddle saw its popularity grow thanks to its inspired creations such as the very tempting Oreo cheesecake The Modern Duke’s Pudding or the durian cake King Cat of the Mountain. The online store provides cake delivery in Singapore. Seeing that oftentimes customers were unsure about which flavour to select, Cat & the Fiddle designed the 10-flavour assorted Fickle Feline cake. Comprising of 10 different premium cheesecake variations, the Fickle Feline is perfect for new customers unsure about their preferences. Prepare your Instagram feed (look at those irresistible colours on your table). 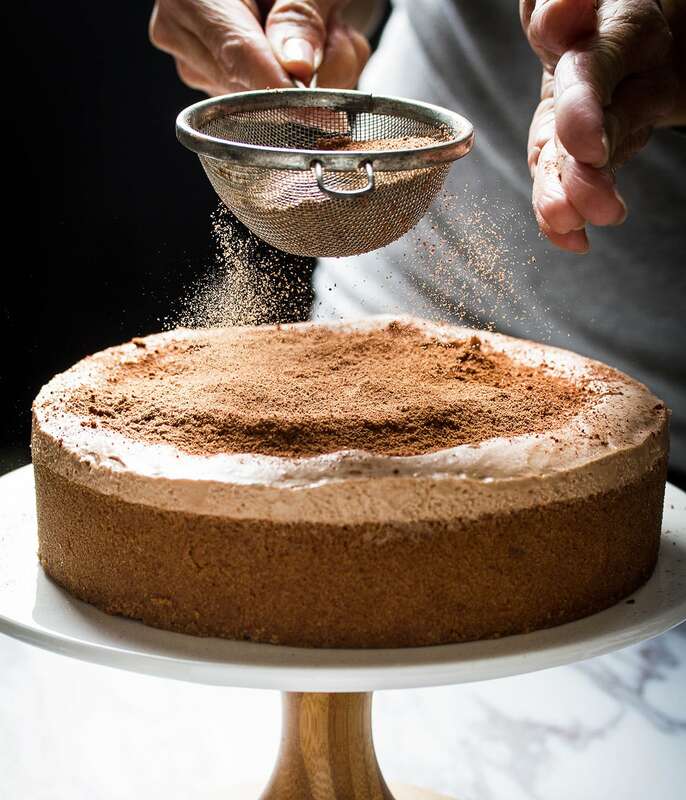 After the success of the online dessert store, Chef Daniel Tay decided to help more people discover its famous cakes and enjoy new ways to customise them by opening a physical retail space in Clarke Quay. 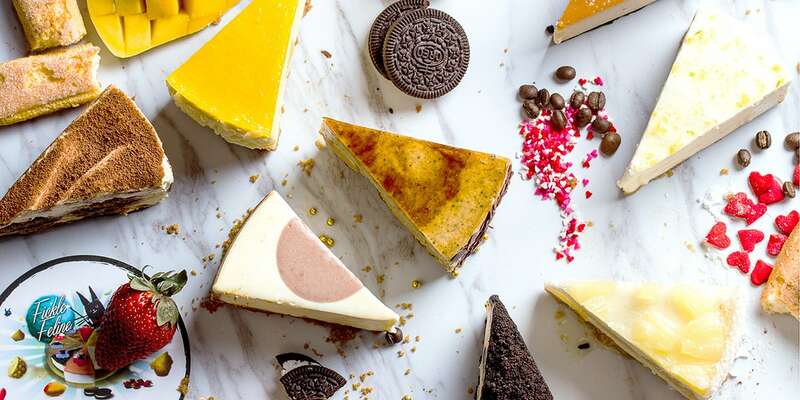 A visit to the creative bakery in Singapore will give you the chance to fully customise your own slice of cake at the Cheesecake Pop counter. Select your preferred dessert flavour, then customise it with exciting toppings, ranging from Oreos and M&Ms, to chocolate sauce, rainbow sprinkles, and more. The future of cake: 3D printing design on your cake? You can now personalise your cake for special occasions. Using Cat & the Fiddle’s 3D food printer on the spot, you can decorate your cheesecake with a selected range of figurines and messages. It takes less than 5 minutes and uses layers of delicious chocolate or marzipan. You can also ask the staff to use stencils with icing sugar and cocoa powder to write custom messages if you prefer. Of course, you can also just rely on Chef Daniel Tay tastefully created cheesecake recipes if you prefer. Cat & the Fiddle has 20 different premium flavours to choose from. A visit to the store will also allow you to pick and choose which cake flavours you prefer for the Fickle Feline mix if the default version isn’t what you’re looking for. Address: 6 Eu Tong Sen St, #01-41, Clarke Quay Central, 059817, Singapore.